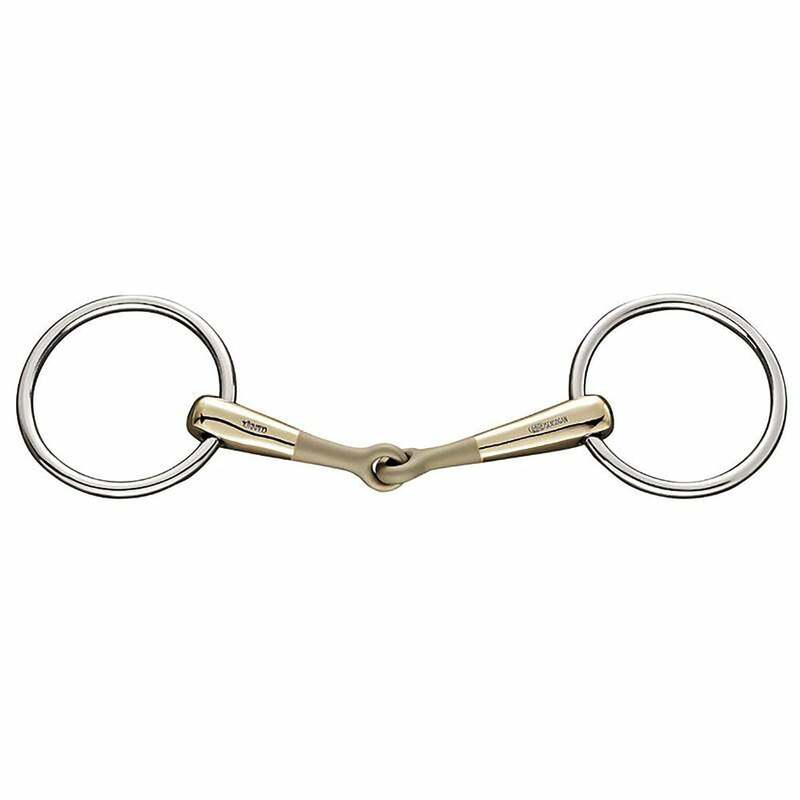 The Sprenger Sensogan Turnado 16mm Snaffle features a slightly abrasive surface in the middle part of the mouthpiece and an innovative 45 degree angle to the joint that allows the rein aids to reach your horse's mouth precisely whilst distributing tongue pressure evenly. The Sensogan mouthpiece is the result of years of research and development into improving Sprenger's original Aurigan metal, by reducing the copper content and combining it with manganese. The result is a more regulated process of oxidation, which does not tarnish easily and holds its white-gold colour for longer.